The GoDaddy virtual dedicated server or virtual private server (VPS) provides the functionality of a full-fledged dedicated server at a lower price. A Virtual Dedicated Server is customized to meet an individual user’s operational needs, and it provides the privacy of a separate physical computer. A VPS can be configured just as a server can be, running Apache and other server software. A VPS runs as a partition on a server, so that a server is shared by several operators, each operating a separate virtual dedicated server. Server resources are shared between operators, except for the operating system (OS), RAM, hard disk storage, and bandwidth, which is each configured individually. GoDaddy is one of the largest virtual dedicated server providers in the world. GoDaddy, in fact, provides many different Internet services, from domain registration, to shared hosting, to dedicated servers and virtual dedicated servers. It even recently announced its new 4G cloud servers. GoDaddy is a huge international company providing a vast array of services to an enormous customer base. It is probably the best known provider of these services anywhere. GoDaddy services are widely reviewed across the Internet by users and former users. It is easy when searching for GoDaddy materials online to come across review sites devoted to all manner of GoDaddy services, including even domain registration and marketing. A very high level of attention is devoted especially to the GoDaddy Virtual Dedicated Server. Some reviews describe features provided in each virtual dedicated server plan, but some are more dedicated to simply bashing GoDaddy as inaccessible and unresponsive. A VPS is much more complicated than simple shared hosting, and VPS operators are often confronted with issues concerning actual server management, rather than just website design and display. Some people move into VPS hosting only having experience with shared hosting, and find operating a VPS to be excessively complex. Fortunately, GoDaddy provides excellent tutorials and guides covering virtual dedicated server management and operation, and often a user’s questions are answered there. These cover the full scope of GoDaddy products and services, but as for VPS operation, they are devoted to VPS with Linux and VPS with Windows. GoDaddy also sponsors user groups, forums, and a community of users. Discussion and instruction are provided there, and these prove to be very useful to virtual dedicated server operators. All of these resources are available through the GoDaddy website, and links are provided to customers after purchasing services. GoDaddy offers five virtual dedicated server plans. They are Economy, Value, Deluxe, Premium, and Ultimate. There are three OSs offered, Linux CentOS, Linux Fedora, and Windows Server. Prices are the same for all three OSs. The Economy VPS is $29.99 per month, if paid by the month. The Value plan is $39.99 per month, the Deluxe plan $59.99 per month, the Premium plan $79.99 per month, and the Ultimate plan $149.99 per month. Check out our GoDaddy coupon codes page to get a discount when you place an order. Discounts are given for payment in six month, twelve month, and twenty four month increments. The basic differences between the plans are in RAM, hard drive space, and bandwidth. The Economy plan comes with one gigabyte of RAM, 15 gigabytes of storage space, and 500 gigabytes of monthly bandwidth. These values increase with each plan, up to the maximum of eight gigabytes of RAM, 102 gigabytes of storage space, and 4,000 gigabytes per month of bandwidth for the Ultimate plan. These values are the same for each OS. 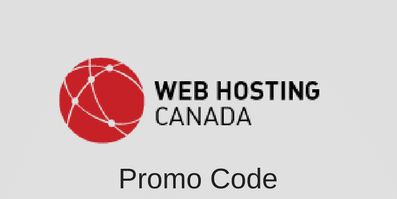 GoDaddy also provides extra services free with every virtual dedicated server. These include up to $100 in advertising credits for Google AdWords, Bing and Yahoo Search, and Facebook. Users also get a free SSL certificate. Some services are available for purchase. When a user orders a virtual dedicated server through GoDaddy, on the GoDaddy website he or she will proceed through configuration of the VPS to add any optional services wanted by the user. Bandwidth can be added in increments of 500 gigabytes per month up to 2,000 gigabytes per month, for a charge of $14.99 per month per 500 gigabyte increment. The default for a new VPS is to include no control panel. Formerly, GoDaddy offered its own proprietary Simple Control Panel at no charge along with a virtual dedicated server, but the Simple Control Panel is no longer offered. Now a user can choose between no control panel, a variety of Plesk control panels, with different sizes and prices, and the popular CPanel control panel. A user can also order a manual back up option allowing him or her to back up files through file transfer protocol (FTP) or a managed back up option performed by GoDaddy. There is a charge for these options of up to $49.99 per month. Finally, a user can elect to order the GoDaddy Assisted Service Plan, which provides for GoDaddy to provide server management assistance. Some administrative services will also be available for purchase aside from this plan. A Plesk control panel is required if a user chooses the Assisted Service Plan. The charge for this service is $149.99 per month. Which plan is appropriate for any user is very much dependent on the number of websites that are to be hosted and the number of visitors each site will receive. The user can host as many websites as he or she chooses, but each website will require a certain percentage of total resources. High traffic websites will be very resource-intensive. The operator of a single website with only moderate traffic can probably get by with the Economy plan, even if he or she might think that more resources are needed. An operator of multiple websites, or the operator of a hosting company with a large number of hosted accounts, will probably need to consider a higher level plan, up to and including even the Ultimate plan. As for the OS, this is largely a matter of personal preference and software compatibility. Some software operated on a website may require Windows, but most will operate with Linux. CentOS is the entry-level Linux OS, and is adequate for most applications. Some users may prefer Fedora. CentOs is the more popular of the two, and has been proven reliable through extensive testing and use. At the same time, Fedora publishers make an effort to add devices and applications to Fedora immediately after their official release. In that sense, Fedora is considered more up-to-date than CentOS. Even still, CentOS is the preference for most virtual dedicated server operators. This entry was posted in Articles, GoDaddy on July 30, 2011 by WHR.